What started out as a dream to expand has now become a reality for the Flamborough Baptist Church. Roughly 10 years, or 87,600 hours later, the vision for a more than 9,000-square-foot addition was realized. 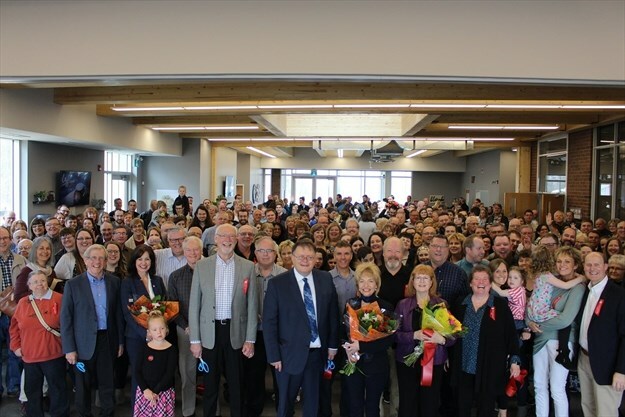 A grand opening to mark the $3-million expansion’s completion was held April 7 at the 5th Concession Road East church, where dignitaries joined congregation members in celebrating the project’s completion. “We’re just amazed that it’s finally come together and it really has been a team effort,” said Thornton, who accepted letters of congratulations from Hamilton Mayor Fred Eisenberger and Flamborough-Glanbrook MP David Sweet before turning over the microphone to Ward 15 Coun. 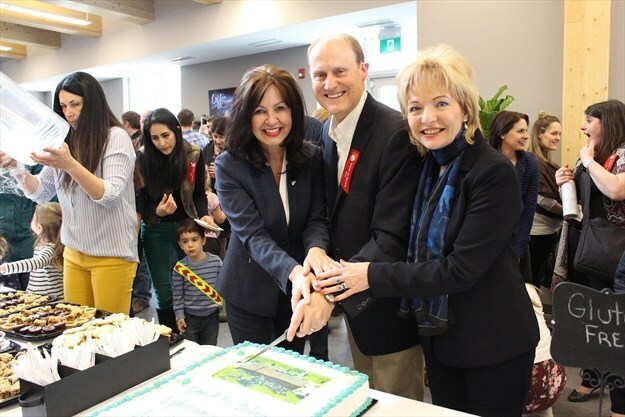 Judi Partridge and Flamborough-Glanbrook MPP Donna Skelly, who offered their own remarks at the ribbon-cutting ceremony. The newly-expanded church now boasts a bigger activity room, a new youth room, a Sunday school room, banquet hall space, and new restrooms. For Brian Anderson, chair of the building committee, the project’s completion is the first step into the church’s future.